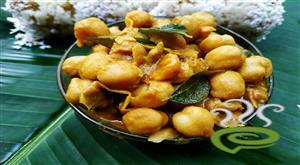 Mutta Muringakka Avial is a nutritious and tasty combination of vegetables and boiled eggs, cooked in a coconut mixture and later seasoned with curry leaves and coconut oil. A variant from the usual Avial dish, eggs with drumsticks paves way for an excellent combo. 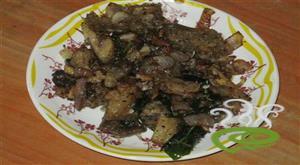 Mutta Muringakka Avial is a very tasty and easy to prepare dish that pairs well with rice and chappathis. Eggs should be cut lengthwise is such a way that the yolk is intact. 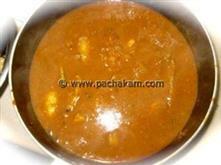 Drumsticks are cooked with tangy mango and other ingredients with enough water. Blended coconut mixture is stirred in and heated for a few more minutes. Add sliced eggs and season Mutta Muringakka Avial with coconut oil and curry leaves. Drumsticks are rich in Vitamin C and iron. Eggs are rich in protein. 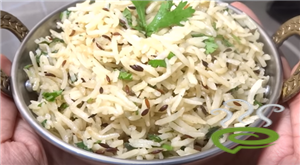 Do not miss out Mutta Muringakka Avial, a boon for the health conscious. Check out the video of this egg aviyal. Add 1/4 tsp turmeric powder, 1/2 tsp chilli powder and cook till drumsticks are well done. In a blender, grind all the ingredients mentioned in section to grind. Add egg pieces and mix gently without separating the yoik from egg whites. 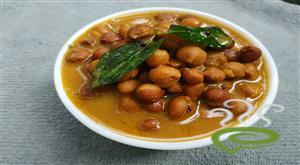 After 3 minutes, add 1 tsp oil to the curry and add fresh curry leaves and take it out of the stove. How can make in different style!!!! 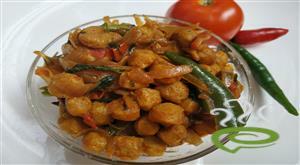 :- Use potatoes instead off drumsticks also use the 3 main items(eggs, drumsticks and potato). All the combos came out excellent!!! kollam. with potato onnukoodi teaste aakum.